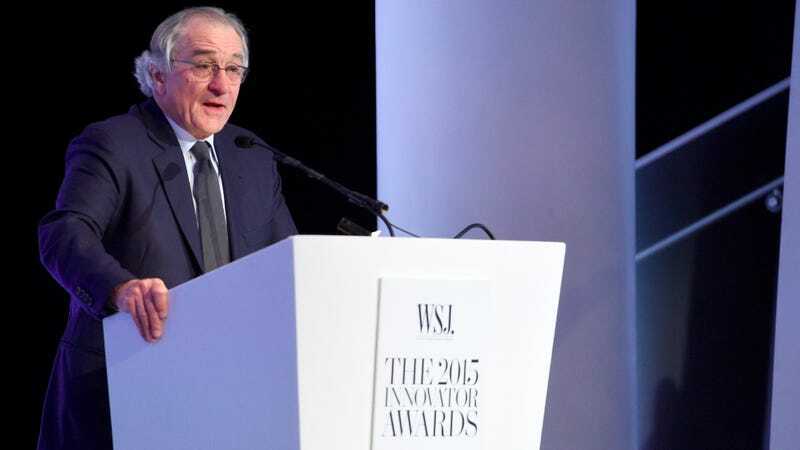 Robert de Niro won’t stand for condescension toward celebs, and recently gave a public rebuke to a tech CEO whose tone he didn’t like. This is not de Niro’s first act of public crotchetiness. For instance, in September, the Guardian reported that when he didn’t like the way an interview with Radio Times was going, perceiving it as too negative, he informed the reporter, “I’m not doing it, darling,” and bailed. (Though she noted it had been a long day of press interview after press interview, so she sympathized.) But that wasn’t exactly unprecedented, either—witness this 2006 GQ interview, in which he tries to get reporter Chris Heath to turn off his recorder.